This is personal: While I was training for my first Boston Marathon in 2015, my dad was diagnosed with bladder cancer. Due to medical errors, he spent 9 weeks in the hospital in intensive care. At one point, it was very grim, and we thought we were going to lose him. My dad’s eventual treatment at the University of Chicago involved an innovative treatment called immunotherapy, which uses a virus to stimulate the immune system to fight the cancer. My dad has been extremely fortunate, and so far the treatment has been successful. I have never been more scared than when my dad was in intensive care. I am a high-school drop-out when it comes to chemistry and biology. My thinking skills couldn't do anything to help treat or cure cancer. But maybe my running skills can. 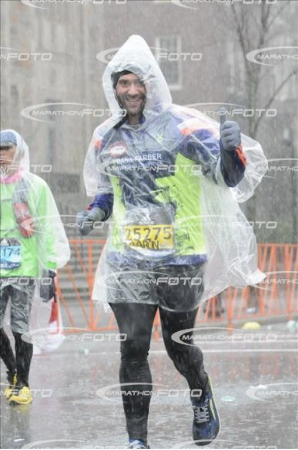 In 2016, I joined the Dana-Farber Marathon Challenge team for the Boston Marathon. Over 3 seasons, you have helped me raise over $53,000 for cancer research at Dana-Farber. On April 15, hundreds of Dana-Farber runners will take to the streets to participate in the 123rd Boston Marathon®. The Dana-Farber Marathon Challenge team runs and raises funds with thousands of special people in mind. From Hopkinton to Boston, we carry thoughts of those people every step of the way.